Steven Shaw and Helen Blackburn, organise Up To Date Modern Sequence Dance Holidays and also Social and Popular Easy Sequence Dance Holidays in the UK and now Overseas, and you are more than welcome to join them. Call 0113 273 6885 for more details. This family run hotel, on the outskirts of the delightful market town of Skipton, offers the best in Yorkshire hospitality. 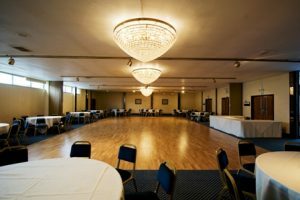 The spacious, air conditioned Malham Suite Ballroom received first class feedback from our guests earlier this year and is the ideal venue to relax with friends over the festive period. The Rendezvous has spacious en-suite bedrooms with lift access to all floors. All bedrooms are tastefully designed offering quality and a restful stay. The Baby Swan Restaurant serves a superb selection of home cooked food using local produce and the newly built conservatory has beautiful sweeping views across the hills of the Yorkshire Dales. Their leisure centre has a swimming pool, sauna, whirlpool spa and newly refurbished gym. 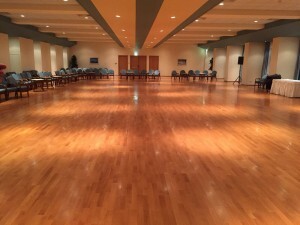 Your holiday will include: Modern and Up To Date Sequence Dancing each evening in the hotel ballroom and also one morning dance/teaching session. 3 Nights Dinner, Bed and Full English Breakfast. 6th-20th November 2019 – 7 or 14 nights available. Following the success of our first overseas up to date modern sequence dance holiday we are returning again working with Personal Touch Holidays. See the attached PDF for full details and prices. You will need to book direct through Personal Touch Holidays, who will be happy to provide you with any further details, including alternative airport options. Telephone 01403 786 200. If you would like to speak to us please call us on 0113 273 6885. 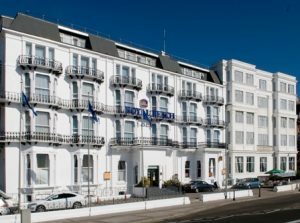 The award winning Bedford Hotel in St Annes will be our autumn 2019 break. This family run hotel is always extremely popular due to its superb facilities, excellent service and award winning cuisine. 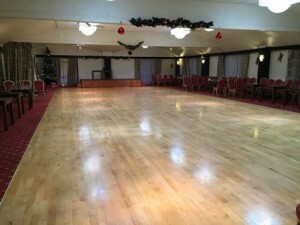 Your holiday will include: 20th – 23rd & 23rd- 26th Social and Easy Popular Sequence Dancing and 26th-29th September Up to Date Modern Sequence Dancing each evening in the hotel ballroom. 3 Nights Dinner, Bed and Full English Breakfast. 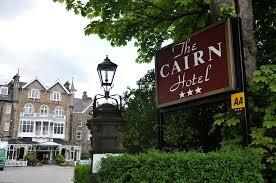 The elegant Cairn Hotel is situated just a 5 minute walk from the spa town of Harrogate and a short drive away from Leeds, York, Knaresborough, Ripon and the Yorkshire dales. The Promenade Suite Ballroom, with its large wooden floor is a favourite with all dancers. There is amply free onsite car parking. Your holiday will include: Modern Up To Date Sequence dancing each evening in the hotel ballroom and 3 nights dinner bed and breakfast. 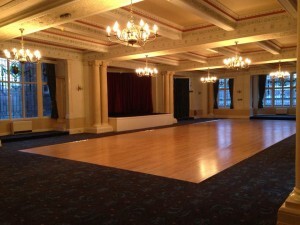 With a central promenade location, the Kensington Hotel is our summer social sequence dance venue for 2019. 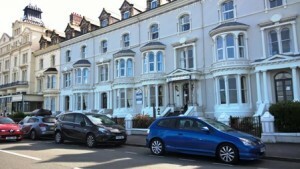 The Hotel is ideally located just a five minute walk from Llandudno town centre. 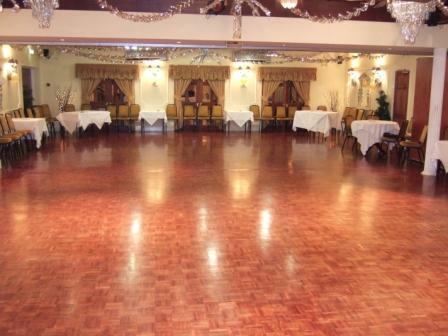 This friendly, family run hotel is always very popular with all dancers and has a beautiful maple sprung dance floor and fully air conditioned ballroom. The hotel also has secure onsite car parking to the rear. Your holiday will include: Social and Easy Popular Sequence Dancing each evening in the hotel ballroom and 4 nights dinner, bed and breakfast. Located on the seaside promenade at Southsea, guests can enjoy magnificent panoramic sea views over the Solent. 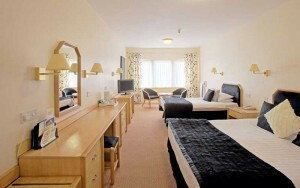 The hotel has en suite bedrooms, all with tea and coffee making facilities and access to free high speed wi-fi. Your holiday will include : Modern Up To Date Sequence Dancing each evening with the choice of 4 or 5 nights dinner, bed and breakfast. The Rendezvous has 80 spacious en-suite bedrooms with lift access to all floors. All bedrooms are tastefully designed offering quality and a restful stay. The Baby Swan Restaurant serves a superb selection of home cooked food using local produce and the newly built conservatory has beautiful sweeping views across the hills of the Yorkshire Dales. Their leisure centre has a swimming pool, sauna, whirlpool spa and newly refurbished gym. 8th-11th April 2019 **Fully Booked** Thank you for your support. Waiting list available please contact us 0113 273 6885. Ideally situated in the heart of Somerset, The Wessex Hotel offers the prefect base from which to explore this magnificent part of the country. from shopping at the nearby Clarks Designer Village, only a few minutes walk away, to visiting the historic town of Glastonbury and Stonehenge. 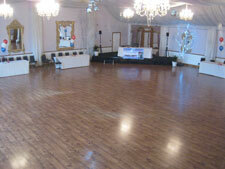 The Somerset Suite ballroom has a 64 ft x 27 ft wooden sprung dance floor and is a favourite with all dancers. 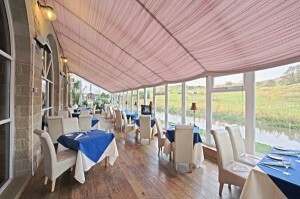 Dinner is served in the restaurant each evening and the hotel offers complimentary wi-fi, with free on site car parking. Your holiday will include: Modern and Up To Date Sequence Dancing each evening in the hotel ballroom and 3 nights dinner, bed and breakfast. 22nd-25th March 2019 ** Fully Booked** Thank you for your support. Waiting list available, please contact us 0113 273 6885. The Cross Keys Hotel is in the heart of Kelso’s picturesque French-styled cobbled square and is ideally situated in a peaceful corner of Scotland, yet still within easy reach of Edinburgh and Newcastle. 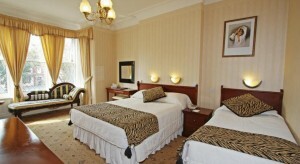 The hotel has 26 ensuite bedrooms all with tea and coffee making facilities. 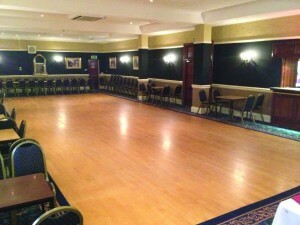 There will be dancing each evening in the hotels recently refurbished ballroom. Your holiday will include : Modern and Up To Date Sequence Dancing each evening in the hotel ballroom and 3 nights dinner bed and breakfast. 29th November – 2nd December 2019 **Fully Booked** waiting list only. Thank you for your support. Excellent value at only £222 per person per holiday. The award winning Bedford Hotel in St Annes will be our Turkey and Tinsel break venue for 2019. This family run hotel is always extremely popular due to its superb facilities, excellent service and award winning cuisine. Your holiday will include: Modern and Up To Date Sequence Dancing on Friday, Saturday and Sunday evenings in the hotel ballroom and also one morning dance session. 3 Nights Dinner, Bed and Full English Breakfast. Please note, we act as agent for relevant providers of accommodation, transport and other service providers. We reserve the right to substitute the relevant providers if necessary. When we have confirmed your booking, a contract exists under which we accept responsibility for the provision of all the services described in our invoice.